Island Air started in 1980 as Princeville Airways but later changed to its official name, Hawaii Island Air. It is an American commuter airline with primary base in Honolulu, Hawaii, USA. With primary hub at Honolulu International Airport and Kahului Airport, Island Air operates scheduled inter-island passenger services in Hawaii. Total no of flights operated is 8. 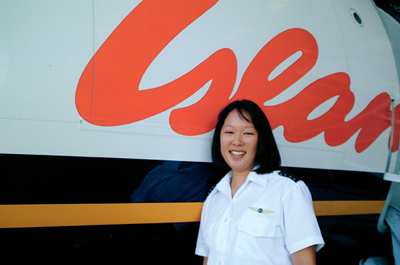 The airline company has codeshare agreements with Aloha Airlines, Continental Airlines, Hawaiian Airlines, and United Airlines. It's frequent flyer program is known as Cloud 9. Island Air operates 13 aircraft with mostly being Bombardier Dash 8-100/200 aircraft model type. 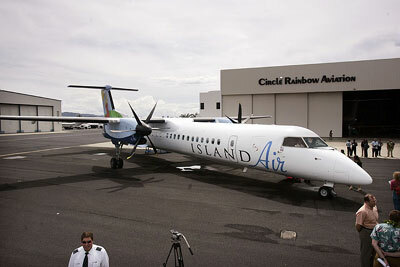 Besides Island Air's scheduled flight services, it also operates inter-island charter flights using its Dash 8 aircraft. For a bigger coverage of worldwide charter flights, Island Air uses a Challenger 601 business jet instead. Island Air is entirely owned by Gavarnie Holding and emplots 400 staff to its payroll.